If your home has been damaged by a fire, flood, or any other problem, you want a fast, effective solution. The experts at RCS are here to provide complete disaster restoration services, including fire, water, mold, and more. Our experienced professionals know what it takes to quickly restore your home to safe, healthy condition. We work with industry leading products to ensure your home is clean and brought back to original condition. If you need water or fire damage restoration services, give us a call today at 1-844-765-2340 or contact us online to get an estimate. We offer all our work in Pittsburgh, Murrysville, New Kensington and nearby! At RCS, we pride ourselves on having the solution to every problem. If your home has a flood, burst pipe, or any other water issue, we can help. We provide drain repair, water removal, and remediation services to help prevent future damage. We provide 24/7 emergency service to help keep your home protected at all times. Our experts are fully trained to handle fire damage as well. Whether you need clean-up services, smoke damage repair, or board up, we have the answers for your home. We also offer complete mold testing and remediation services for homeowners with mold problems. In addition to our disaster restoration services, RCS provides complete radon mitigation and testing. Radon is a naturally occurring, carcinogenic gas that can only be detected with proper testing. 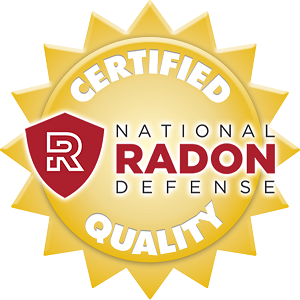 As the local member of the National Radon Defense network, we have access to industry leading techniques and training that ensure your home is safe. If actionable levels of radon are found, we can provide you with a complete radon mitigation system installation. If you're interested in water damage restoration, fire damage restoration, radon testing and mitigation, or mold remediation for your home, call the local experts at RCS today. We offer all our services in Pittsburgh, Murrysville, New Kensington, Saltsburg, Butler, Monroeville, Gibsonia, Allison Park, Wexford, Glenshaw and throughout the surrounding areas.